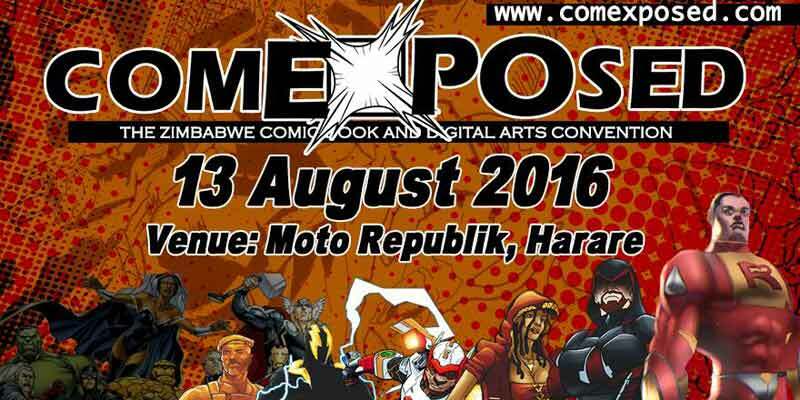 Over a year ago Zimbabwe witnessed its first ever comic book expo, Comexposed which highlighted the animation talent in the country and shed some light on the burgeoning local comic industry. Following a precursor Comexposed Comic Book Day held a few months ago, the main Comexposed event is back again this year, promising to deliver an even larger display of animation and design talent. 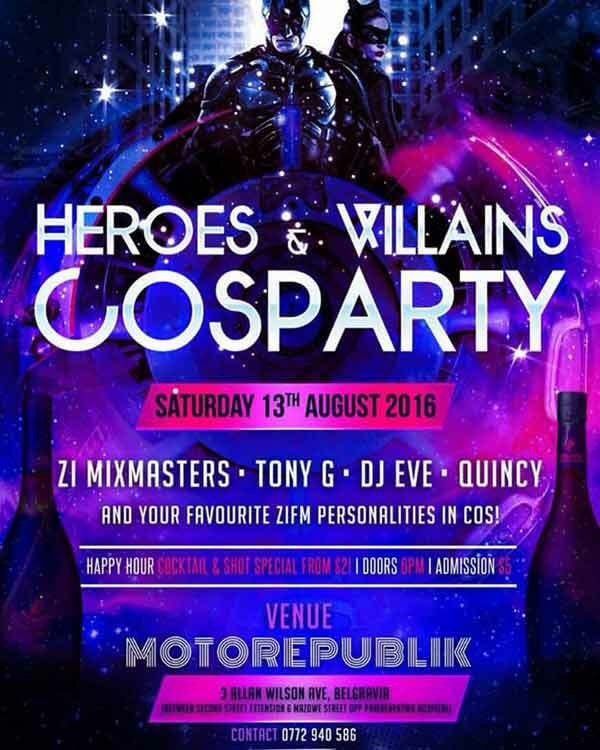 This Saturday (13 August 2016) illustrators, designers, gamers, comic book geeks, and superhero fans will have a chance to spend the whole day (the event is scheduled to run from 9 am to 6.30pm ) at Moto Republik in Harare checking out some of the new work that has been produced by some of Zimbabwe’s finest comic artists. This year there will be more local comic books being showcased by the likes of Bill Masuku, Kudzai Gumbo, James Magwenzi, Tinodiwa Makoni, Eugene Ramirez Mapondera, and Dananayi Muwanigwa . 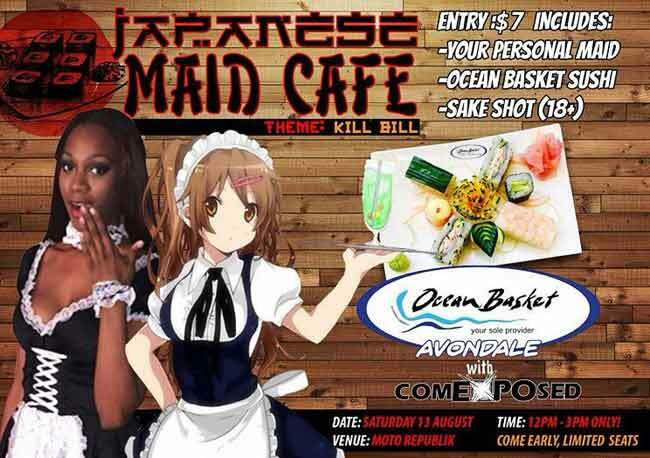 Comexposed will also feature a bigger gaming experience with dedicated consoles for popular games like Mortal Kombat and FIFA, as well as themed presentations like the Japanese Maid Cafe which is being facilitated in partnership with Ocean Basket Avondale. The event will be hosted by local comedian Andrew Manyika to ensure a lively exciting and funny tone as vendors, exhibitors, artists and performers will be mingling and showcasing the best of local merchandise and pop culture. After the event, there will be a cosplay party that starts at 7pm which will carry the theme Heroes and Villains. Speaking about the plans made for Comexposed 2.0, Eugene Ramirez Mapondera, the co-founder of Comexposed highlighted the strategic partnerships with companies like Mcpherson’s Education, Cyrex business solutions, Live Cast media, Kefalos, and Ziva that have helped in putting this year’s event together. This has been complemented by work put in by presenters that include Munya Bloggo (TV Yangu), Tafadzwa Makura (Mazwi.co.zw) , Enqore Mlilo (Nafuna TV), and Cambridge school of art graduate Miss Tafadzwa Takuba. The public and geek community in particular, has been very supportive of Comexposed and despite the obvious challenges of hosting such an event we have received communication and inquiries from similar event holders in Kenya and Nigeria such as Naiccon and ComicPanel.